We’ve also seen a shift from manual production to mass production, customised mass production and now personalised mass production. We’ve improved our capacity to measure what people want and our ability to link this knowledge with production resources to meet those demands. Sometimes I wish I was ten years younger. Not out of vanity but because of what’s about to unfold in the manufacturing industry. We’ve arrived at a genuine inflection point in how we go about business. There’s an opportunity to produce more high-quality goods for more people while reducing costs and environmental impact. This opportunity is being driven in part by a significant increase in consumer wealth. We’re witnessing the most significant expansion of the middle class that we’ve ever seen. Forecasted in 2016, 160 million people will join the ranks during the next five years. More than 3.2 billion people already enjoy this status. This is information is critical in an age where consumers are demanding more personalised products. Today, Millennials, in particular, place a high value on adding their personality to what they buy. More than half of consumers would prefer to shape the products and services they buy. This type of personalised mass production requires a lot of flexibility in manufacturing processes. In the modern factory, set-up time is a key variable determining the ability to tap into short-term opportunities. Merely being able to see a chance isn’t enough. Global business opportunities mean global competition, increasing the imperative to act quickly. Whereas this global competition, once reserved for large international enterprises, most businesses now have potential rivals in other countries. The convergence of information technology (IT) and operational technology (OT) offers a smarter way to convert the business into opportunity. Data is helping many manufacturers to unleash the potential of productivity and personalisation, meeting the demands of changing consumer appetites. The race to take advantage of this convergence has spurred new global initiatives in the manufacturing industry. Countries are driving campaigns to help local industries tap into the potential of the IT and OT collision. The US is leading the pack, with 54 percent of manufacturers having smart factory initiatives in place. Germany has 46 per cent dedicated to what it calls Industry 4.0, and Australia is looking to adopt some of its best practices. China’s Five Year Plan of Smart Manufacturing seeks to transform the industry by 2025 completely. Smart factories are forecast to add anywhere between $5 billion and $1.5 trillion to the global economy in the next five years. It’s not just about producing more, faster. It’s about improving asset utilisation, the total cost of ownership and enterprise risk. The good news is that there are easy wins to be had. That’s because many manufacturers already have industrial control systems generating massive amounts of valuable data. Machines installed during the past ten years are now enabled for connectivity. While analytics and security capabilities will need to be laid over existing infrastructure, it’s a shorter adoption cycle. Once you start to gather that real-time data, the next step is to make it useful – to contextualise, model and create business outcomes. Technology has largely automated what used to be an enormous feat of analytics, meaning that businesses can take much of the guesswork out of optimisation. Running hundreds of potential scenarios a day is now simpler than ever, making it easier to find the right way forward. Focusing on your most obvious opportunities for enhanced productivity is the best way to get started. Pick an area where you know there are noticable improvements to be gained, run a proof of concept and, if successful, expand across the business. Pick a technology partner who understands your business. Some companies are already showing the way, using smart manufacturing technology to improve consistency and reduce cost while increasing uptime and output. 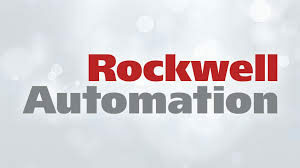 For example, Rockwell Automation worked with a major tire company that drove 18 hours out of the production time for each tire, while increasing consistency in its manufacturing process by as much as 96 percent and reducing warehouse space by 30 percent. Another one of our customers put control and automation technology into 4,000 trucks to monitor and enable predictive maintenance. By allowing maintenance to be done remotely, while trucks were inactive, it has massively reduced downtime and eliminated much of its maintenance infrastructure. Those are numbers that have a significant impact on business performance. Skilled technology workers will undoubtedly be one of the challenges in this new era of productivity. There’s a growing gap, and our customers are having difficulties implementing products. In the US, we’ve worked with ManPower Group to train returning veterans on how to deliver, operate and maintain these new technologies. Business, education, and government must join forces to make the necessary investment in the coming years to tackle this skills shortage. We’re at an unprecedented inflection point. Investment in technology has never offered so much potential to transform what we do, how billions of people are living, and the work opportunities of so many. Those who move now to realise the data potential they have on their plant floor will be the industry leaders of the coming decade.